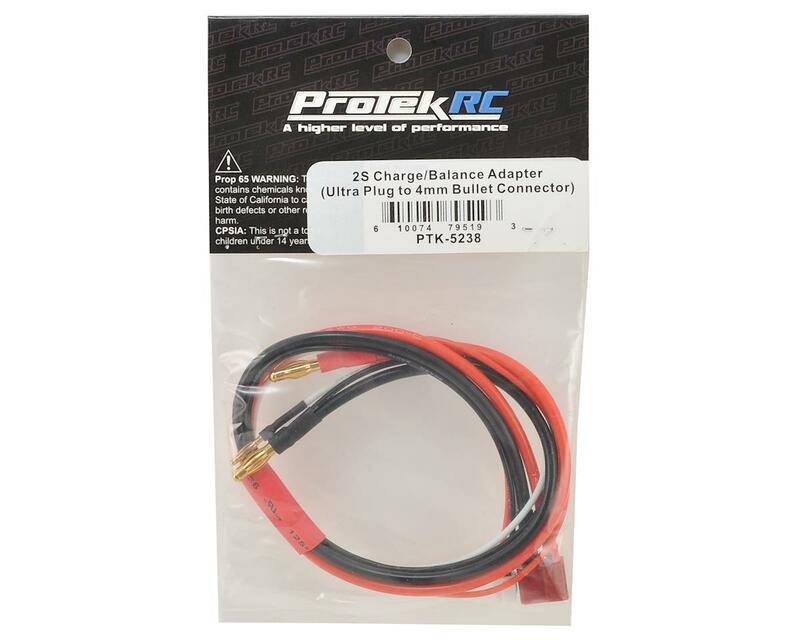 This is a 2S balance/charge adapter from ProTek R/C. 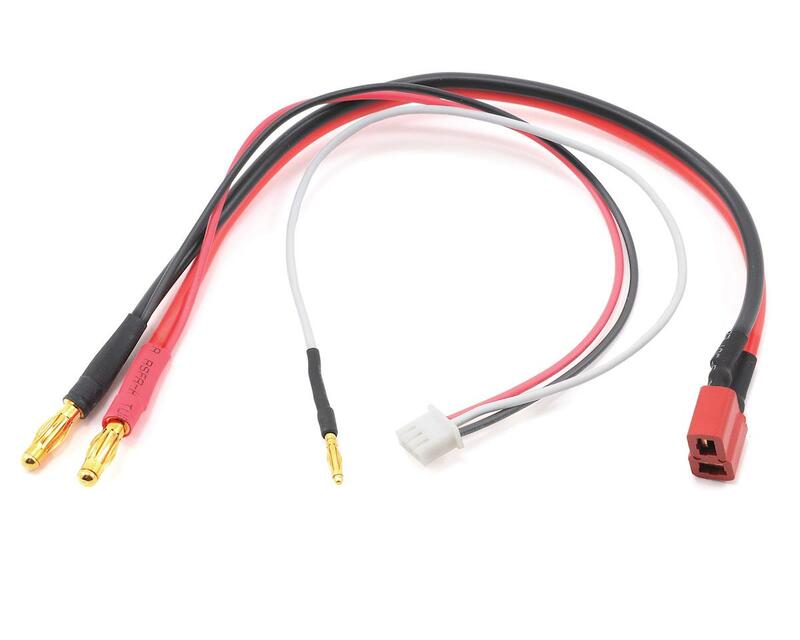 This adapter is designed for 2S Li-Poly hard packs that use two 4mm bullet connectors for the main power connection, and a 2mm bullet connector for the balance connector. This adapter is approximately 16" long tip to tip, has bullet connectors on the battery end, a female ultra plug to attach to your charge lead, and an XH style balance connector to connect to your balancer on the other end. i like the fact that it is more than a foot in length. 14 +/- inches long!!! charging on an ammo can is much more easy. i don't know if the connectors are original deans though. mine came so tight, i needed to use pliers to connect them. i hope it loosens up as i use it. even with my little niggle with the connector, i am very satisfied with this product. i will not have 2nd thoughts buying one again. Does as intended. Well soldered and nice length. Nothing more to say really, other than it's a needed product that is well put together. The wires were a little smaller and harder than I expected; but it has a tremendous reach, perfect for charging lipos in a lipo sack. Probably not the best choice for running in a car... Get shorter wires without the balancer. On the plus it is the only lead on the market with a balancer!